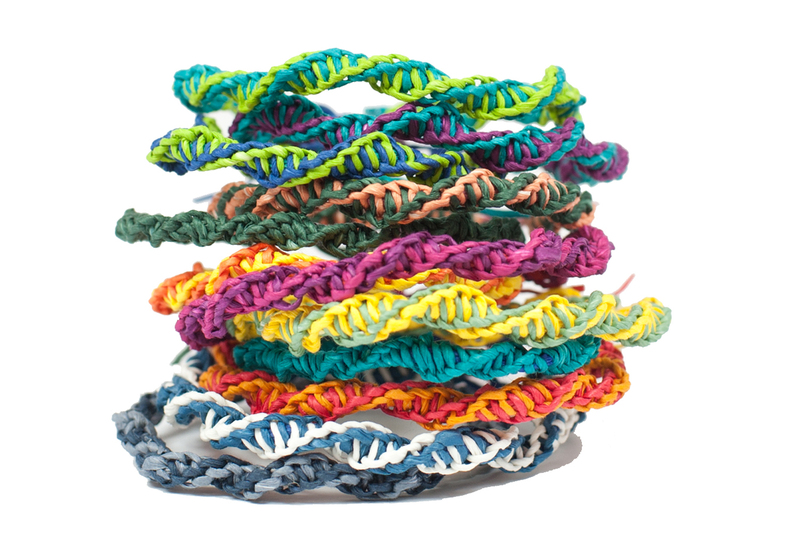 There are few craft projects as simple, satisfying and fun as friendship bracelets! 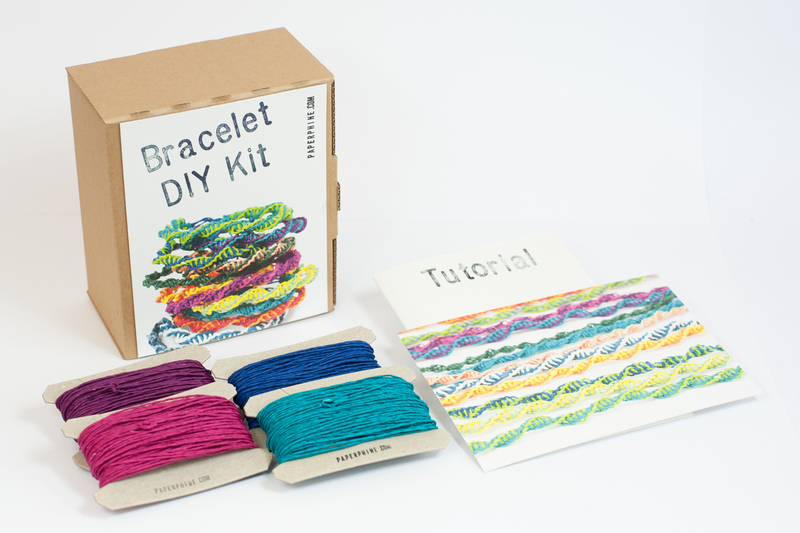 This is why we put together a special DIY kit for you that contains everything you need to make up to 12 bracelets with an environementally friendly supply in fantastic colors: paperyarns. 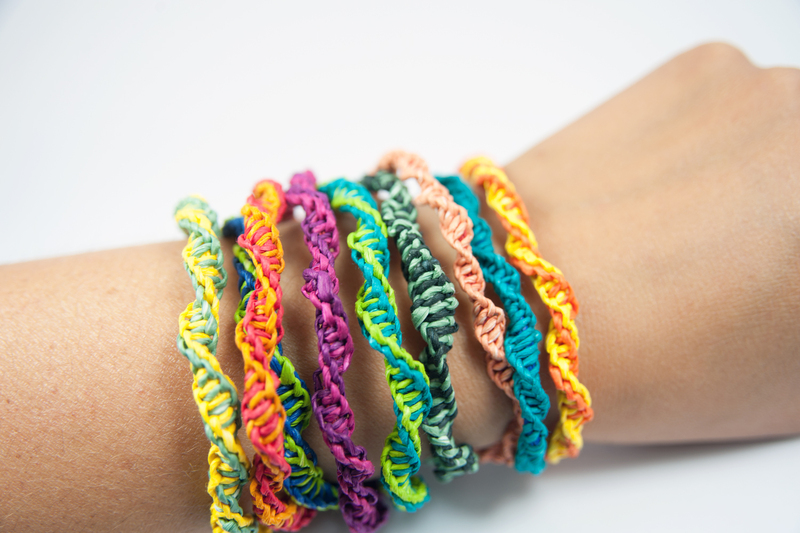 This is a special, round bracelet design based on only two different knots – easy to learn for young and old! 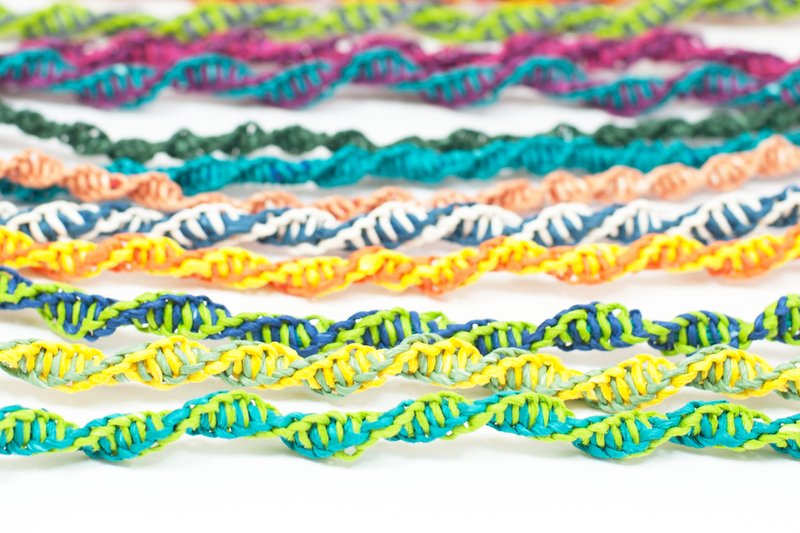 Choose your own colors and see who makes the brightest and cutest bracelets around.